Even after a $12 billion rebranding, Cadillac is hurting for cash. You may not recognize the name Edmund Burke, but he has a quote that is befitting to Cadillac and its current predicament. It reads, ‘The only thing necessary for the triumph of evil is for good men to do nothing.” Essentially, Burke is trying to tell humanity that apathy is a bad trait to become accustomed to. Let’s be clear, Cadillac didn’t facilitate any evil or wrongdoing, but GM is guilty of being apathetic towards its 114-year-old luxury brand and for that, it is feeling a financial sting. Prior to the late 2000s, Cadillac didn’t care about its products or its customer base and if it did, the cars sure didn’t show it. To say that Cadillacs built a decade or two ago had poor interior quality was an understatement and even the exterior design was so bad, outdated, and lacking that most enthusiasts wondered if older generations bought the cars due to the nostalgia-inducing looks or to practice for a hearse ride. Then in July of 2014, the General had a eureka moment and decided to bring Cadillac back to life. The American auto giant was still feeling the sting of bailout shame that anyone who has had to move back home with mom and pop knows well, and it wasn’t too keen on going back to those days. After gathering ideas, GM decided to go the luxury route. The segment only accounts for 10% of sales but inhales 50% of profits, and that kind of cash was sure to keep GM from collapse. As Economics 101 will tell you, one must spend money to make money, so GM threw $12 billion at Cadillac. For that kind of money, the General bought itself an upgraded model lineup and put Johan de Nysschen, the ex CEO of Audi credited with restarting the company’s pulse in the US, on the payroll. Unfortunately, things didn't work out. While the early 2010s saw double-digit growth in the luxury segment as consumer confidence and spending increased following the recession, Cadillac experienced a dismal 2% sales increase from 2013 to 2014. In fact, dealers were having so much trouble moving the ATS and CTS that GM offered incentives as far north as $17,500 for the CTS and $12,000 off the ATS. With the failure of Cadillac’s reinvention becoming painfully clear, Cadillac needs to search for the point in time where it went wrong. It certainly isn’t the cars themselves. 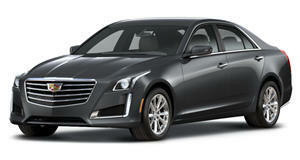 The CTS, a BMW 5 Series and Mercedes E-Class competitor, won Motor Trend’s Car of the Year award after the ATS, the BMW 3 Series and Mercedes C-Class fighter, racked up the North American Car of the Year award just a year prior. 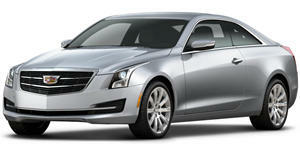 If Cadillac’s cars are formidable competition to the opposition, then why don’t the sales numbers reflect that? In all likelihood, the problem starts with the method that Cadillac chose to rebrand itself. Instead of carving out a unique brand identity, GM’s luxury brand decided to try and copy the Germans. While its lineup is incomplete compared to the overstuffed lineups of Germany’s automakers, Cadillac prices its cars competitively and styles them with a conservative flair that is usually seen on BMWs, Audis, and Mercedes. Problematically, faking it till you make it doesn’t work as easily in the auto industry. On one hand, Cadillac buyers likely compared their picks against BMW and Mercedes, but many badge snobs, who are abundant in the luxury car buying class, wouldn’t even consider a Cadillac. Lexus knew this well, but it managed to overcome the barrier of entry into the luxury market by pairing its well-built cars with radical styling. The design language has appeal, and after Lexus’ redesign, its sales numbers now compete with the German’s neck and neck. Cadillac doesn’t necessarily need to add wild lines and gaping grilles to attract customers, but it does need to do some deep soul searching to find out its identity. With 114 years of history, Cadillac can dig up plenty of personality that it can bring forwards through evolution and into the future. For the sake of the brand and in order to bring an iconic American luxury brand into relevance outside of China, Cadillac should go on a vision quest and then get to work.